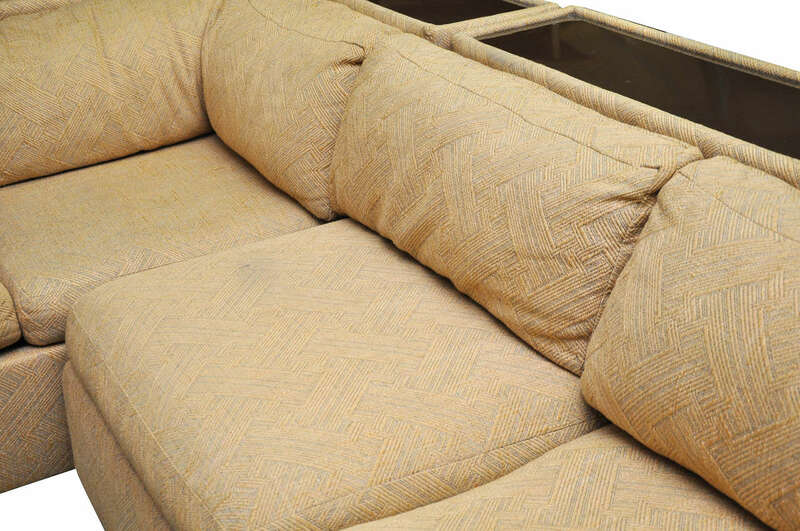 This Four-Piece Milo Baughman Sectional Sofa in Original Upholstery is no longer available. 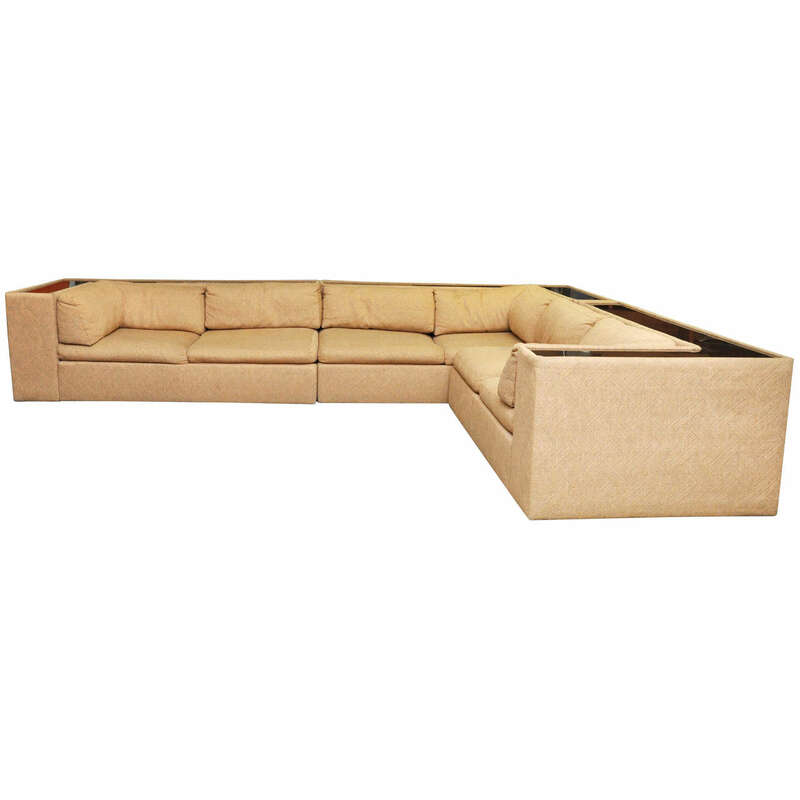 Magnificent Milo Baughman sectional sofa in its original upholstery. 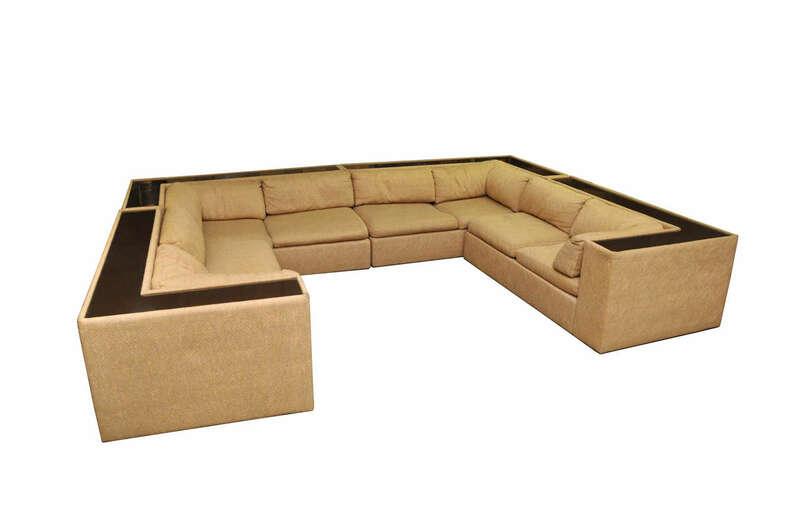 Four pieces offer options for configuration. 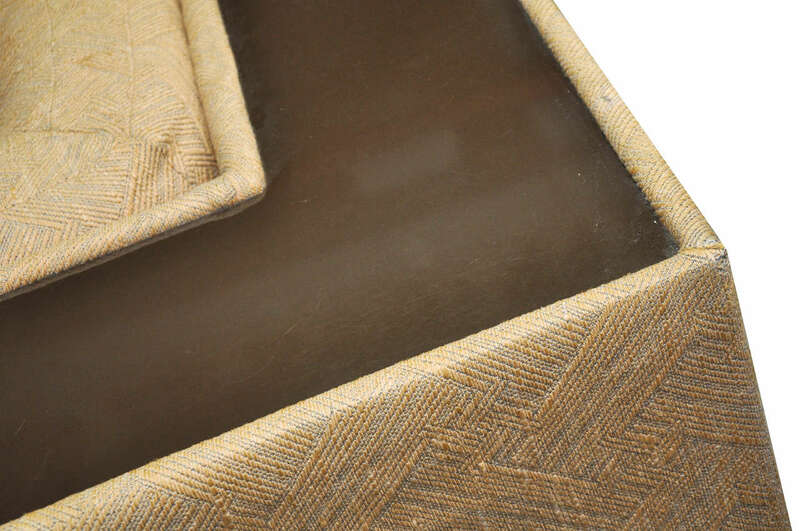 Brown continuous original polymer shelf at back highlights the neutral textured crosshatch upholstery. Measurements are for each individual section piece. 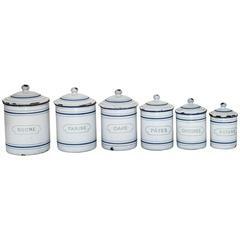 Set of six antique French pantry tin canisters with lids and original paint. 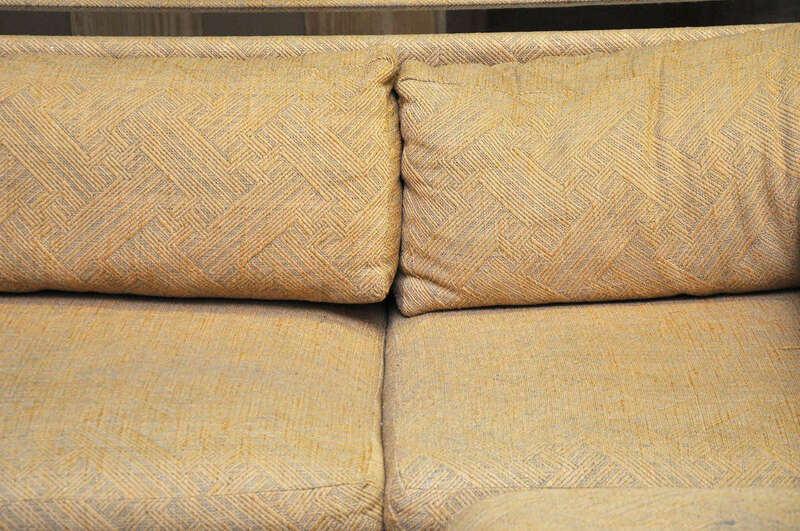 Rare Milo Baughman sectional with its original fabric. All the pieces retain their original label: designed by Milo Baughman for Thayer Coggin. 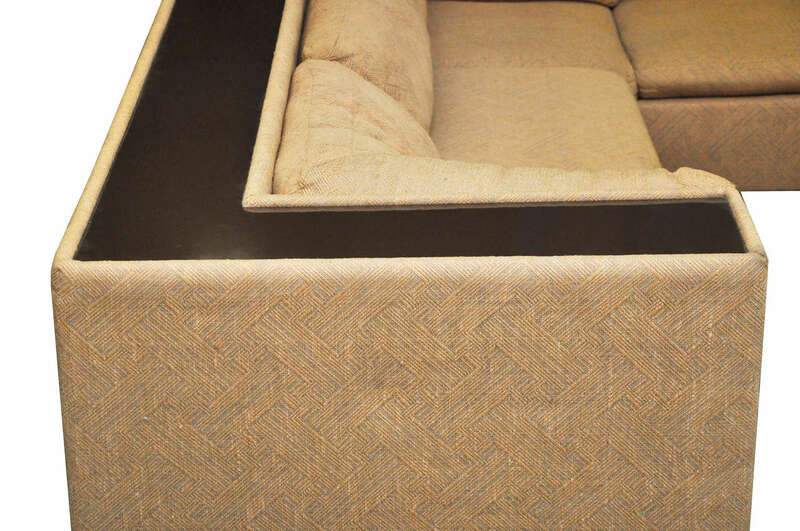 Gorgeous Milo Baughman for Directional two-piece tufted sectional sofa. 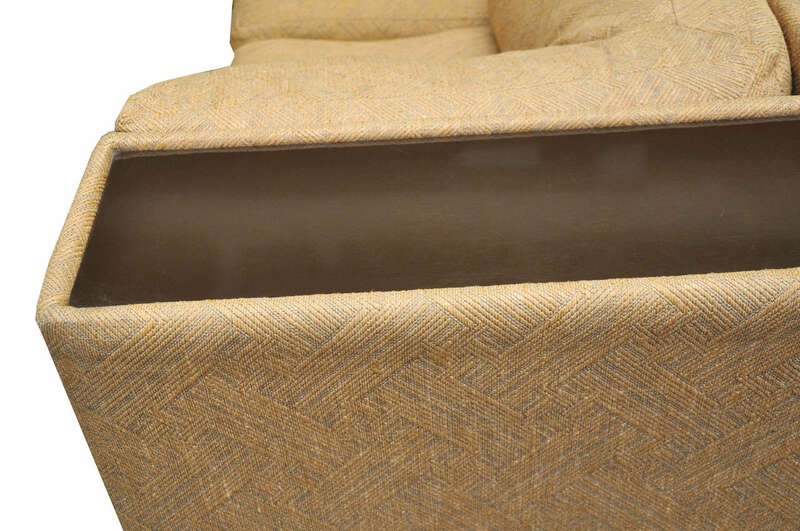 Yes this piece will need to be re-upholstered but that's what you designers are looking for anyway-right?